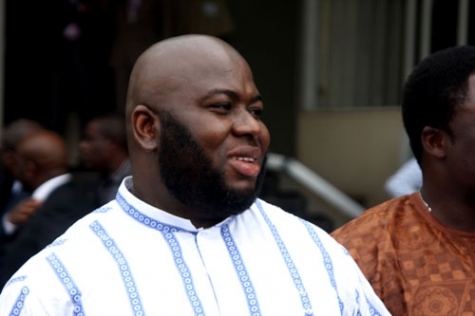 The Coward Called Asari Dokubo And His Empty Threats By Joe Igbokwe. We live in interesting times in Nigeria today. Cowards and Villains nobody knew when it mattered most in Nigeria between 1985 and 1998 are the ones terrorizing Nigeria today. Lily-livered men without bones who could not raise a voice in the days of locusts are the ones telling us today that they are courageous and strong. Men who are women who could not stand up the way the Late Ken Sarowiwa stood up to Abacha Regime are now the common fools abusing our nationhood. Now enter Asari Dokubo, the emergency activist, the only bold one in Nigeria, the man stronger than all the armies of Nigeria. Nigeria can never change. Some of the things we accused Northern Military leaders of doing from 1985 to 1998 are repeating itself today in Nigeria. Sectional Politics, Ethnic preoccupation, Mediocracy, Favoritism and impunity are driving leadership in Nigeria today. When the good man, the late President Yar’ Adua was hospitalized and could not continue in office in his capacity as the president many raised their voices to call for President Jonathan to be sworn in but the coward and opportunist Asari Dokubo did not threaten fire and brimstone.Today Asari Dokubo, the school drop out has become the defender and strong pillar of the President. Asari Dokubo has been making provocative and irresponsible statements abusing everybody who do not share his ideas and sentiments. He has threatened blood shed and war times without number and yet he continues to walk the street as a free man. Others from other sections of the country have been picked up and detained for doing the same thing Asari Dokubo is doing today. Mallam El Rufai was detained in Awka for going to witness Anambra Guber elections. Mallam El Rufai was also questioned recently by SSS for saying that there maybe bloodshed if we mess up with 2015 elections. Asari Dokubo and Chief Edwin Clark may think they are helping President Goodluck Jonathan but in actions and deeds they are creating big problems for the President. Nigerians know that President Goodluck Jonathan has empowered Asari Dokubo, Chief Edwin Clark and others in such a way that they are now multi billionaires. The world knows that Asari Dokubo and Clark have never had it so good. No wonder both of them are now planning to set up a university each. But success is supposed to be managed. Asari Dokubo and his co-traveller Chief Edwin Clark lack the capacity and the common sense that this is the time for consultations with other Nigerians and not confrontation. Both lack the discipline to consider the feelings of other Nigerians at a time like this. One understands the politics of tribes in Nigeria very well and both have the right to support one of their own but thinking in terms of other people is the way to go for the sake of unity, peace and harmony. I blame the past presidents of Nigeria for depending so much on crude oil instead of developing other sectors of the economy. Japan has no oil and yet is a world power today. Singapore has no oil and yet it is one of the best countries in the world today. Nigeria can do without oil if and only if we can have a thinking and creative Leader. The world today is thinking of what is in our heads and not what is underground. Microsoft, Facebook, Apple, Ford Motors, Toyota, Mercedes, Intel, Twitter, Panasonic, KIA, Hyundai e.tc. are not oil companies. Asari please take notice that the world is moving away from crude oil. Asari Dokubo in his stupidity thinks that President Jonathan will be installed into office in 2015 by executive fiat. No sir! It is going to be decided through the ballot box and i know that politics is a game of numbers. We may have been writing Presidential election results in the past but Asari Dokubo must put it in his head that votes will count in 2015. Everybody’s eyes are wide open now and woe betide any crook that will want to do something funny in 2015. Again we must register into the consciousness of every Nigerian that it is not a must that every President in Nigeria must get eight years in office. The reason why elections are conducted every four years is for the electorates to have the liberty to change a bad leader or to re-elect a good leader. A leader that lacks the capacity to perform should not be re-elected. All things considered ,there are many compelling reasons why President Jonathan may not be re-elected in 2015. One is that we have to worry about the feelings of other ethnic groups in a democracy. The unity of this country is very important. If the President is re-elected in 2015 he would have ruled for 10years in 2019. I do not think it is fair judging from the circumstances that lead to President Umaru Yar’Adua’s death. Secondly, corruption at the federal level under President Jonathan is alarming and unacceptable. Thirdly, impunity has assumed a frightening dimension under the leadership of President Jonathan. Fourthly, the inability of President Goodluck Jonathan to tackle the problem of insecurity is threatening also. In the midst of plenty our institutions are collapsing with no end in sight. The power sector is still down. Asari Dokubo must shut up now and hold his peace. The best he can do now is to start moving round the country with the billions President Jonathan has provided for him to canvass for votes for Jonathan. Asari Dokubo cannot continue to preach hate to the Northerners and yet still think they will vote for President Jonathan. I plead that the loquacious Chief Edwin Clark should do the same. This is the only way to help President Jonathan to win in 2015. Nigeria was born deformed 100 years ago and has died long before, says Bakare. PM NEWS LAGOS – The General Overseer of Nigeria’s Latter Rain Assembly, Pastor Tunde Bakare, has said that the country called Nigeria was born deformed 100 years ago, adding that it died when Major General Aguiyi Ironsi abolished the regions in 1966. The convener of the Save Nigeria Group, SNG, said this while speaking on the topic: “Birthing A New Nigeria Without Complications” during a live programme on Eko FM 89.75, on Tuesday, and monitored on the SNG’s twitter handle @savenigeria. Bakare added that the “Federal Republic of Nigeria” is a lie. He said with the way the Nigerian is currently structured, we can never produce the Nigeria of our dreams. “The “Federal” Republic of Nigeria is a lie. This baby (Nigeria) was already born deformed. The way the Nigerian government is currently structured can never produce the Nigeria of our dreams. If we don’t restructure and have a people’s constitution, we are deceiving ourselves. Elections cannot produce it. We must not put the cart before the horse,” he warned. Bakare wondered if there are still people in this nation capable of birthing the new Nigeria. “Don’t trust anyone who has never been tested with power. The way we are going, America is beating the drum that there will not be a Nigeria by 2015 and we are dancing to it. We can avert disaster by going to the negotiation table,” he said. Speaking on the National Confab, he said,”no matter by what nomenclature the government sets up a national conference, let’s go to the negotiation table. Any constitution that will not bend will break. “It’s not difficult to fight corruption. First you must be incorruptible yourself. The reason I teamed up with General Buhari was his anti-corruption track record. “Pepper thieves are sent to jail while corrupt bank executives are kept in 5-Star hospitals,” he laments. The ‘Northern’ blackmail of Nigeria. I HAVE never voted in a Nigerian election. I have only ever voted once, but it was in Britain and not in Nigeria. As a Commonwealth student in England in the 1970s, I was allowed to vote for the re-election of Harold Wilson’s Labour party. However, I am seriously thinking of casting my vote, for whatever it is worth, in Nigeria’s forthcoming elections in 2015. There is only one reason for this. I am determined that a “Northerner” must not be the next president of the Federal Republic of Nigeria. the spoilt-child of Nigerian politics. It always has a grudge when it is not in power. This must be discouraged. When Moshood Abiola, a Southerner, won the election in 1993, the Northern elite conspired to scuttle it. When they finally succumbed to a Southern presidency in 1999, some of them nevertheless sought to make trouble by politicising sharia. When Jonathan won in 2011, there was instigated rioting in the North. Some of the elite even decided to sponsor terrorist activities in disgruntlement. This terrorism has now backfired, to the extent that it is now beyond the control of its initial sponsors. The North has to learn to live without political power at the centre. The rest of the country has learnt to do this over the years, as the Northern elite have monopolised power. But Northern politicians seem to believe political power is their entitlement. As a result, the “Northern” blackmail is now in full swing. Certain spokesmen of the so-called North are threatening to hold the country to ransom come 2015, if a Northerner is not elected the president of Nigeria. They are saying: “It’s either our way or no way. If we don’t get the presidency, then Nigeria cannot continue.” This is poppycock! Adamawa Governor, Murtala Nyako, says: “we must stop President Goodluck Jonathan’s attempt to go for second term, as that will lead to civil war.” Who exactly are the “we” Nyako is talking to here and who is going to start this civil war? Senator Joseph Waku of the ACF (Arewa Consultative Forum) says: “President Jonathan should not even contemplate making any move to contest the 2015 election because such will be catastrophic.” I am curious as to what the catastrophe would be. Junaid Mohammed says there will be mayhem in Nigeria should President Goodluck Jonathan and the PDP rig the 2015 election. Junaid is a Second Republic politician. When Northern Shehu Shagari rigged the election in 1983 and won by a “moonslide,” Junaid did not declare mayhem on Nigeria at the time. When the election was massively rigged for Northern Yar’Adua in 2007, we did not hear of mayhem from the likes of Junaid. But with the probable re-election of a non-Northerner, Junaid is threatening violence. Well, the violence will consume no one but Junaid himself. Precisely because of these bombastic threats, it will be impolitic for Jonathan to decide not to run in 2015. The entire nation must call the bluff of these power-hungry Northerners. Let us see what they will do if Jonathan not only runs, but is re-elected. These threats are irritating and vain. Southerners do not throw these tantrums when Northerners are in power. The Igbo are a major ethnic group in Nigeria. They have been denied the presidency for virtually all of Nigeria’s 53 year history. Yet, they are not crying wolf. They are not threatening fire and brimstone. But those who have monopolised the presidency for 38 out of 53 years are the ones shouting till they are blue in the face. What cheek! It is not the birthright of Northerners to rule Nigeria. It is the prerogative of all Nigerians to decide who will be our president. The ethnic chauvinists of the ACF have no right to determine who Nigeria’s president should be or where he or she should come from. If the president of Nigeria does not come from the North for the next 20 years, there is nothing the ACF or anybody else can do about it. The ACF position is just so much smoke and mirrors. The body does not speak for the North. It is simply the mouthpiece of certain Northern politicians who are indolent and are craving another opportunity to loot the treasury at the centre. The fact of the matter is that the North no longer exists if it ever did. It is hardly a homogeneous political entity. More than any other part of Nigeria, the North is deeply divided between the haves and the have-nots. After 38 years of deception and betrayal by Northern politicians, the Northern poor do not need to be told that such mouth-organs as the ACF and NEF (Northern Elders’ Forum) have little or no interest in their plight. The North is currently at war with itself. The Boko Haram has become an instrument for further Northern division and impoverishment. It has started an intercinine war where some Northern Moslems have been killing Northern Christians. Undoubtedly, the effect of this scourge in dividing the North politically along religious lines will be evident in future elections. Nyako maintains Jonathan signed an agreement with some northern governors in 2011 to serve for a single term of four years. This position raises a number of annoying questions. Who exactly are these northern leaders and what special place do they have in the selection of a Nigerian president that anybody needs to make an agreement with them? Nyako and his colleagues are dreamers. Whatever role they presume to arrogate to themselves in Nigerian politics is a result of their delusion. Goodluck Jonathan did not need them in order to win the last election. In 2011, Jonathan lost to Buhari in all the far northern states of Bauchi, Borno, Gombe, Jigawa, Kaduna, Kano, Katsina, Kebbi, Niger, Sokoto, Yobe, and Zamfara. Nevertheless, he still went on to win the election at the centre with a plurality of over 10 million votes. Therefore, it is immaterial whether or not he made an agreement with these Northern jokers. Those he is alleged to have made the agreement with could not even deliver their side of the bargain. Nevertheless, Jonathan went on to win the election. That should tell these pretend power-brokers that they are actually irrelevant in the Nigerian political equation. Under the circumstances, it is preposterous to now insist Jonathan must keep his part of the alleged bargain. Clearly, the bargain, if it ever existed, was a waste of time. It is disrespectful to Nigerians for Nyako to have the audacity to say that, in a democracy, a group of Northern governors reached a private agreement on who should be the president of Nigeria. That is balderdash. Perhaps, we should just cancel elections altogether and have Nyako and his friends decide every four years who should fill what posts. These people are just fooling themselves. The fact that Jonathan subsequently became president should not obscure the fact that their presumptiveness was shown to be false. The governors could not deliver the North to him. Obviously, they had no control over Northern voters. For 38 years, when Northerners ruled Nigeria, there was no talk of any agreement with anybody to serve for a delimited period. Balewa signed no agreement for six years. Gowon entertained none for nine years. Murtala did not deem it necessary to put any pen to paper. Shagari ran for a second term without making a treaty with the South-South. Buhari succeeded Shagari without thinking it was high time a Southerner became head of state. Babangida replaced Buhari for nine years without signing an agreement with anybody. Rather than entertain Southern rule, Abacha truncated it. After five years, he reached an agreement with himself to succeed himself. After Abacha came Abdulsalaam; yet another Northerner. But once Obasanjo, a Southerner, became president; the Northerners started talking about an agreement that he should only be president for one-term. The same irritating noises are being made again now that, for once in the history of Nigeria, a South-South man is president. For this very reason, under no circumstances should the next president of Nigeria come from the North. In the interest of national unity, these cry-baby Northern leaders need to be taught a lesson. I repeat: the presidency of Nigeria is not their birthright. If these characters don’t know this by now, 2015 is the time for them to know it. People like Professor Ango Abdullahi of the NEF claim to be against President Jonathan on the grounds that his government has not performed. Pull another leg! The North is not known to produce good presidents. Yar’Adua was a remarkably lousy president. He was also the most tribalistic president in Nigeria’s history. He ignored federal character and filled the government with Northerners. For example, under him, the Minister of Finance, Minister of National Planning and the Governor of the Central Bank were all from Kano. The NEF kept mum even when a sick Yar’Adua was holed up in a Saudi Arabian hospital, while his Northern acolytes went on a looting spree of the treasury, forging cheques in his name.